"International Blue" is the first new release from MANIC STREET PREACHERS in four years and is available today in the U.S. Taken from the band’s thirteenth studio album RESISTANCE IS FUTILE out on Shornday/The Orchard on April 13, 2017, the single is unfiltered and classic Manic Street Preachers. Inspired by the city of Nice in the mid winter sun and the life’s work of French Nouveau realisme artist Yves Klein, the song is built over an immense riff that echoes the twin Manics album peaks of Generation Terrorists and Everything Must Go. Nicky Wire (bass guitar, lyrics) explained “I’d been digesting the lyric for five years, since being in Nice and finally joining the dots between Yves Klein’s International Klein Blue and the vast open blue of the Mediterranean Sea. It was a moment of connection that felt perfectly natural – not forced or intellectualized. A different kind of enrichment that feels increasingly difficult to find. The track itself is carried by the kind of naïve energy that powered ‘Motorcycle Emptiness’”. James Dean Bradfield (lead vocals, lead guitar) added “Often I just need a great title to set me off. Seeing the word 'blue' struck a chord and set off memories of pure pop records we grew up with – things like the ‘Story of the Blues’ by Wah!, ‘Moon is Blue’ by Colourbox, Orange Juice’s ‘Blue Boy’ and’ In Bluer Skies’ by Echo and the Bunnymen. I immediately thought of the kind of shiny freedom pop we used to hear on the radio as kids and that quickly became the M.O. in my head when writing. I just wanted to make a great Manic Street Preachers driving song; something that evoked the heat haze you see on empty open roads in America. I wanted to channel a Springsteen/War on Drugs sensibility, but through our European filter. Sometimes, aiming for a feeling is enough to make it work”. 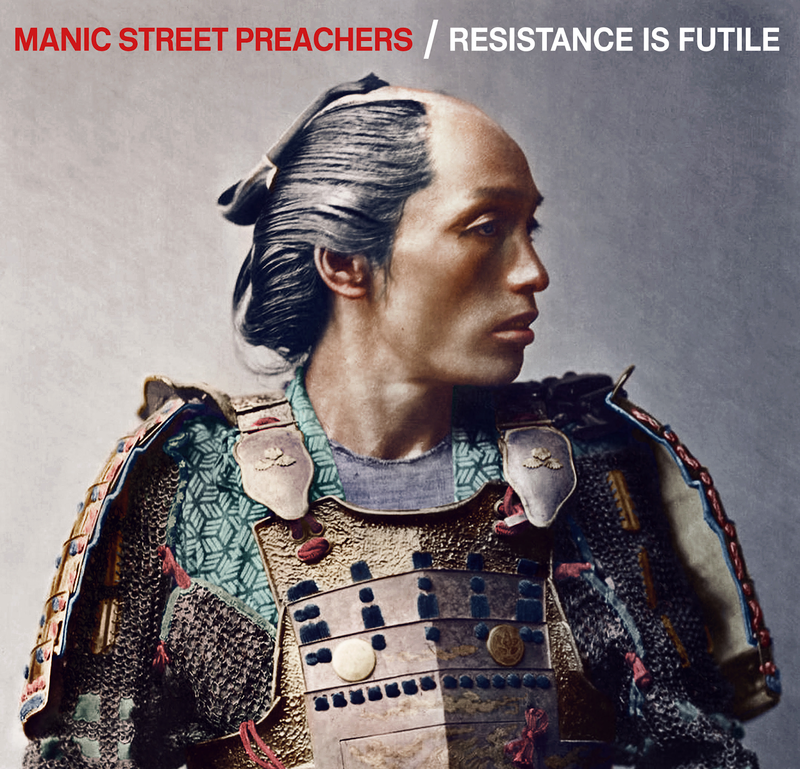 Following the twin musical departures of 2013’s largely acoustic Rewind the Film and the glacial electronics of 2014’s Futurology, Resistance Is Futile heralds a return to a classic Manics sound described by the band as “widescreen melancholia”. The songs on the album are the first recorded in the band’s new Door to the River studio (near Newport, UK). The band head out on tour in the UK in April and play their biggest shows in a decade. 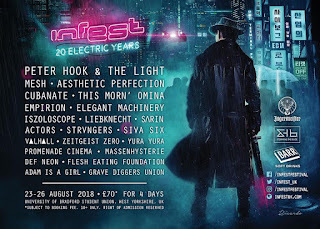 They will also be playing several festivals including Robert Smith’s Meltdown and will play with Guns ‘n’ Roses at shows in Germany and Denmark. Manic Street Preachers recently received the Inspiration Award at the Q Awards at the Roundhouse in London. Previous winners include U2, David Bowie and Patti Smith. The band performed a greatest hits set on the night with support from Sleaford Mods. MANIC STREET PREACHERS "International Blue"